A gang assault in Putnam Valley Saturday night resulted in critical injuries to a young victim. State Police said the incident took place at 10:15 p.m. when students from Mahopac, Putnam Valley and Hendrick Hudson High Schools met for the purpose of… Please login below or purchase a subscription to the Putnam County Courier to access this content. 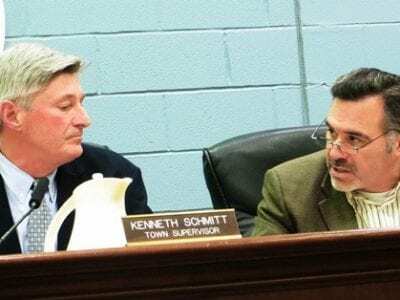 Carmel Supervisor Ken Schmitt (left) and Councilman John Lupinacci discuss reducing funding to the Mahopac FD at Wednesday’s Town Board meeting. Repercussions from a $5 million shortfall in the Mahopac Fire Department’s treasury – a… Please login below or purchase a subscription to the Putnam County Courier to access this content. Brewster FD personnel removed a seriously injured passenger from the first car of the train. Putnam County is ready for disaster. 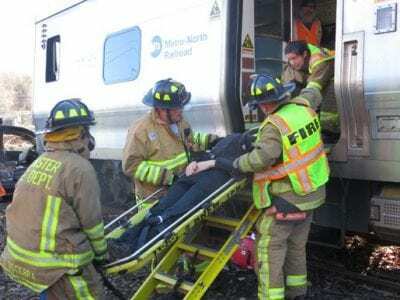 On Saturday, a mock train calamity occurred on Metro- North tracks in Brewster and emergency services personnel from thr… Please login below or purchase a subscription to the Putnam County Courier to access this content. County Executive MaryEllen Odell and Sheriff Don Smith are honored for their service to the community. 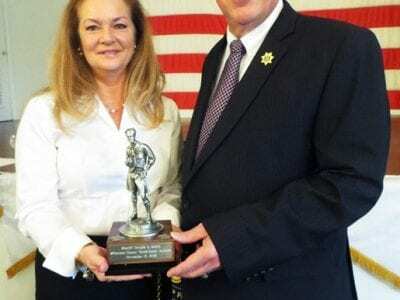 County Executive Mary Ellen Odell and Sheriff Don Smith have received many recognitions over the years – but perhaps nothing more meaningful than t… Please login below or purchase a subscription to the Putnam County Courier to access this content. Top: Carmel Teachers Assoc. 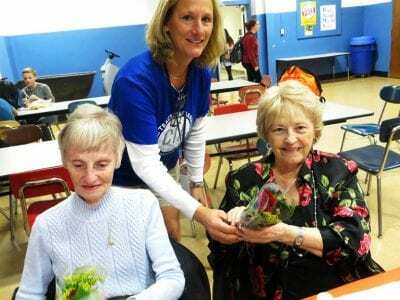 representative Ann Dixon presents roses to guests at the luncheon including Frances Maddalone and Marilyn Galligan.Above: Gloria McIntyre is served lunch by CHS students Meredith Jennings and Ed Stanley. Thanksgiving arriv… Please login below or purchase a subscription to the Putnam County Courier to access this content. 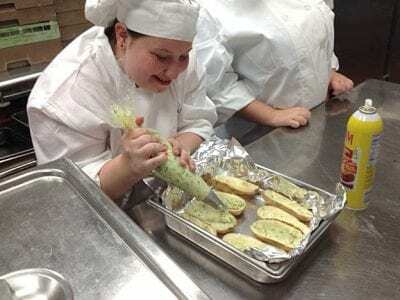 Crystal Scala of Brewster High School prepares potatoes for the dinner. The menu consisted of baked ham with all the trimmings. The pre-Thanksgiving feast was prepared by students enrolled in the Culinary program at the PutnamNorthern Westchester BOC… Please login below or purchase a subscription to the Putnam County Courier to access this content. Join us for the monthly meeting of the East Fishkill Community Library Photography Group on Thursday, December 3, at 7pm. This group is comprised of local photographers, both professional and amateur, who come together each month to share their love… Please login below or purchase a subscription to the Putnam County Courier to access this content. 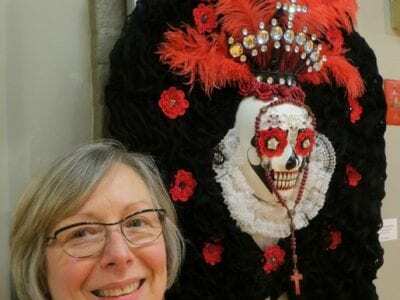 Susan Zoon and her unusual artistic masks. Susan Zoon’s unusual colorful masks immediately bring a smile to the face of viewers at the Studio Around the Corner. Zoon, a resident of Carmel, who studied in Mexico, has traversed numerous artistic … Please login below or purchase a subscription to the Putnam County Courier to access this content.